In this post I'll demonstrate a simple CD system, that based on a merge to the Master branch for a project on Github will package, push and deploy a small RESTfull application. 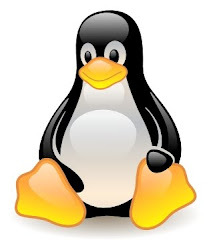 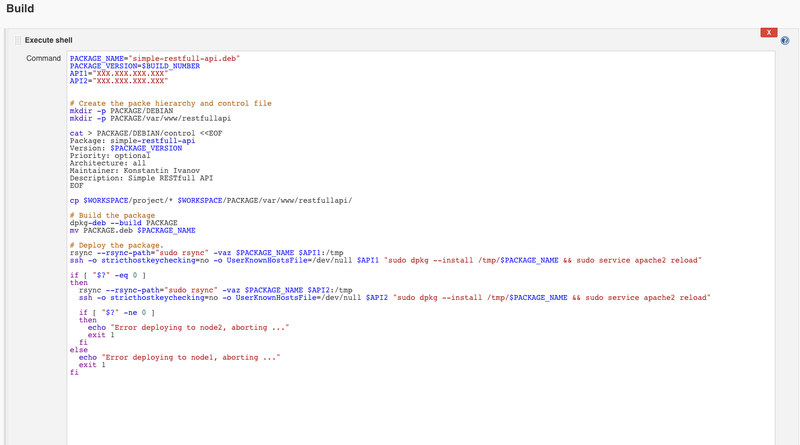 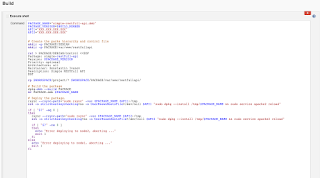 The setup consists of a single Jenkins server, a load balancer node running HAProxy and two API servers running Apache with the libapache2-mod-wsgi module to drive the Python Bottle microframework. 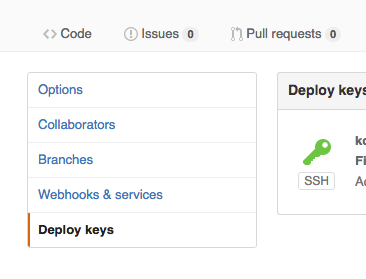 [workstation]$ git commit -m "Initializing the repository"
ssh -o stricthostkeychecking=no -o UserKnownHostsFile=/dev/null $API1 "sudo dpkg --install /tmp/$PACKAGE_NAME && sudo service apache2 reload"
ssh -o stricthostkeychecking=no -o UserKnownHostsFile=/dev/null $API2 "sudo dpkg --install /tmp/$PACKAGE_NAME && sudo service apache2 reload"
echo "Error deploying to node2, aborting ..."
echo "Error deploying to node1, aborting ..."
Make sure you have the github plugin installed on Jenkins for this to work. 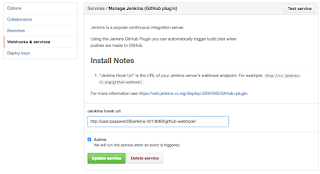 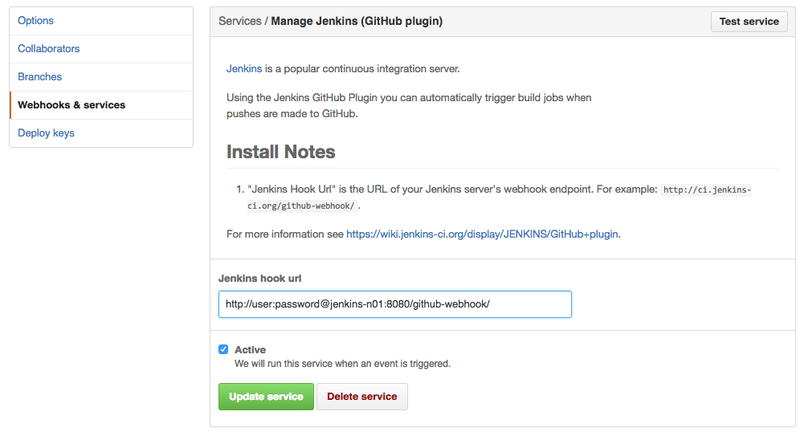 Now every time you merge a commit to Master, Github will POST to the Jenkins API, and Jenkins will execute the job, building a debian package, and deploying it to the API nodes.